BEN SUMNER DIARY: Elite pro racing - welcome to the layer cake! We have the feeds for Sunday's second round of the World Cup plus in 'The Week in Cross' news round-up: Van der Poel's return delayed; Meeusen wins midweek; Vantornout rests; and European Masters date announced. Belgian champion Klaas Vantornout has decided not to race in Valkenburg after a indifferent start to his season and placing a disappointing 12th in Ardooie on Thursday. "My performances have been below average and I want to know what's wrong with my body," Vantornout told Sporza. "It makes no sense to keep muddling along like this." The thirty-three-year-old West Flandrian finished 13th in the first World Cup in Las Vegas and had been one of the riders mentioned in Niels Albert's newspaper column as being "under pressure" this season here. 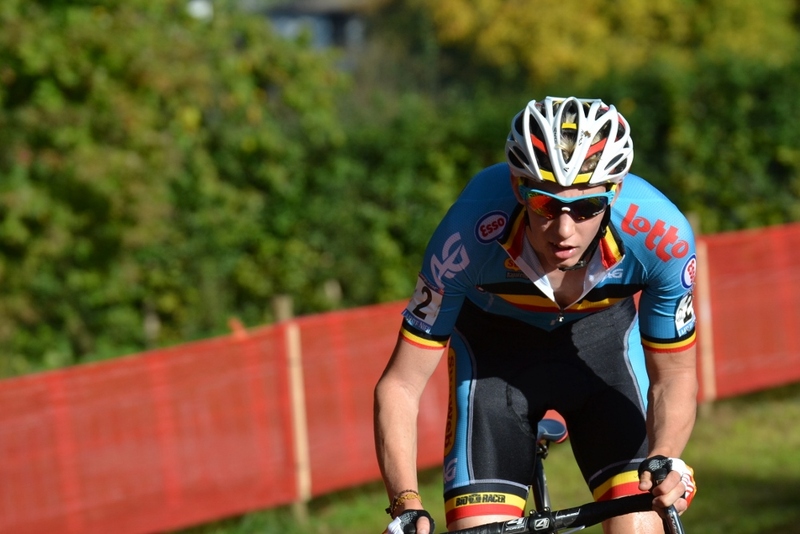 Vantornout's best result this season has been his fourth place in Erpe-Mere three weeks ago. It is also understood that World Cup leader Katerina Nash will not travel to Valkenburg. The US-based Czech champion will once again carefully select her European races which leaves the way open tomorrow for Sanne Cant, Eva Lechner, Pavla Havlikova and last year's winner Katie Compton. Valkenburg is another race being broadcast in Flanders on digital channel Telenet Play Time so it's likely that the UCI feed will be geo-restricted there (as well as in the US) leaving many Belgian fans disappointed. We covered the broadcasting story here. Interestingly, Michael Vanthourenhout (below) beat both Wout Van Aert and Mathieu van der Poel in Valkenburg twelve months ago as all three contested the Under-23 race. Lars van der Haar and Katie Compton won the main races. Tom Meeusen notched up his second win of the season in Thursday's C2-ranked Kermiscross in Ardooie (Meeusen won last Saturday in Meulebeke also). Heavy rain changed the usually fast course into a muddy race which did not prevent Meeusen from attacking at two-thirds distance. Meeusen's win prevented Sven Nys from adding Ardooie to his long list of career victories. Nys beat Swiss champion Julien Taramarcaz to claim second place but he will finish his career without having won at the West Flandrian Kermiscross. World champion Mathieu van der Poel is hoping to return to racing at the World Cup in Koksijde on November 22nd – a month later than was originally thought. The Dutchman has been missing this season due to surgery on his knee. The twenty-year-old crashed in the Tour De L'Avenir back in August and after failing to recover fully underwent surgery to remove damaged tendons on October 2nd.